Artas is a young band from Vienna and Riotology is their second album. At the conceptual album they offer a mix of different genres as well as lyrics in several languages. A Journey Begins is an intro with acoustic guitar which takes you onto a sonic trip. A memorable guitar line leads you into Fortress Of No Hope, but then they explode and storm off. Heavy riffs, fast double-bass drums and growls they present, during the refrain singer Obi adds some clean vocals and the song gets almost catchy. It's a sonic roller coaster ride which needs open-minded listeners. 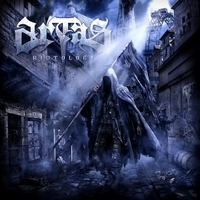 To get an idea about what to expect from Artas check out the video clip for Fortress Of No Hope. The groove-laden The Suffering Of John Doe is offering melodic clean vocals and harsh shouts, but it's the guitars which give the track an aggressive touch. An angry track is Rassenhass (engl. : racial hatred), the Austrians manage to avoid ineptness. Kudos! With O5 they use some melodic interludes with acoustic guitars and clean melodic vocals,  they give the listener a short break before storming off again. With No Pasarán they offer a track with Spanish lyrics, the track shows some new facets in the Artas sound. The slogan was used several times in history, but I think in this case it refers to the Spanish Civil War. With Le Saboteur you get another fast, riff-based track, this time they use French lyrics. But even without knowing French one gets an idea what it's all about. Ashes Of Failure is a quite melodic tune for Artas, even if it offers some growls, too. And with Surrounded By Darkness We Are Able To See The Stars they close the chapter, a melancholy tune based on acoustic guitars and vocals. I recommend to check out No Pasarán,  Le Saboteur, Between Poets And Murderers, Gipfelstürmer and Rassenhass. The Viennese deliver a good album, but some songs are a bit too similar... Some songs might work better, if a bit shortened... On the other hand they offer an interesting sound mix and sophisticated lyrics.